Method: Cook quinoa according instructions. Bring to taste with 1 tbsp. olive oil and salt and pepper. Combine all the ingredients with a hand blender, add a little bit of water if needed to get the (dressing) substance of your liking. Divide all salad ingredients over two bowls – drizzle with olive oil and add salt and pepper to taste. 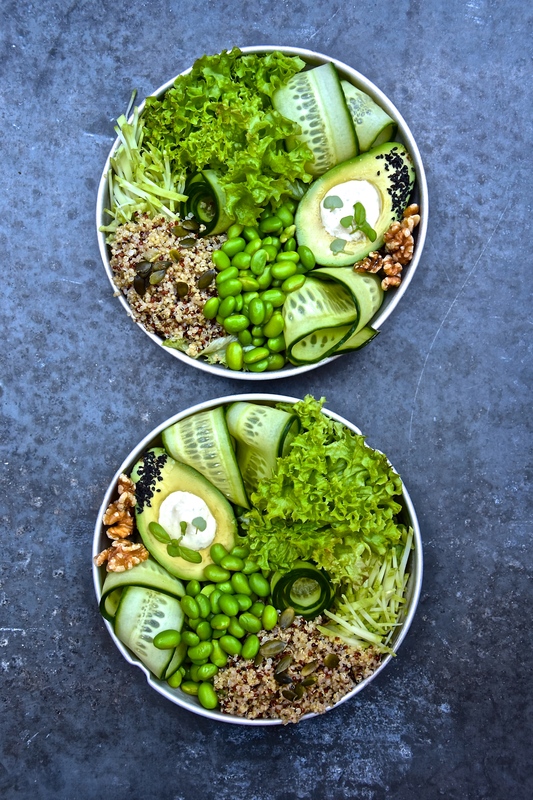 Use the avocado halves as dressing bowls and add toppings. Serve extra dressing on the side.